The Hudson Gateway REALTOR Foundation, the charitable arm of the Hudson Gateway Association of REALTORS, recently presented a check for $2,000 to the Hi-Tor Animal Care Center in Pomona. The Hi-Tor Animal Care Center gives temporary refuge to almost 2,500 animals per year. It is the only open admission shelter in Rockland County. “All of us at Hi-Tor are thrilled that we will be able to convert a storage building to housing for some of our dogs for adoption with the generous donation from the Hudson Gateway Foundation,” said Mike Sanducci, Shelter Manager. 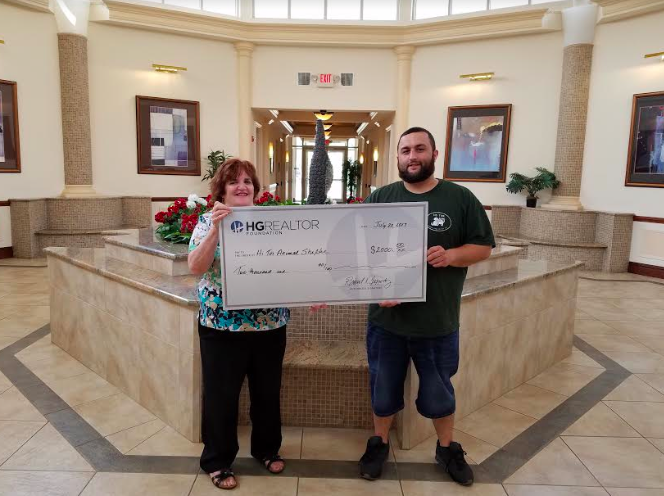 The Hi-Tor Animal Care Center is one of the many local Hudson Valley charities benefitting from the REALTOR® Foundation, which has raised more than $30,000 from its “Runway for Hope” Fashion Show at New Rochelle’s Glen Island Harbour Club, and four “Pub Nights” this year held throughout the Hudson Valley.